it should be understood that at the time they were minted (1652-1688), the Mass Bay Colony was our current day states of MA NH and ME. I've been fortunate to have recovered four of these coins, two shillings and two threepence. This is my latest and best condition. 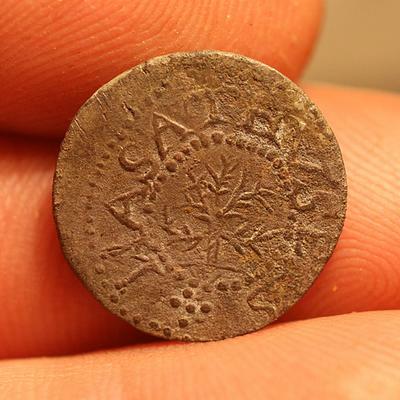 An Oak Threepence, Noe-28 variety. In uncleaned condition, it seems to be in better condition than any examples I find on the web or in my books. (I'm including an example photo of the best I've seen, and I chose the wrong pic for reverse example :( ). 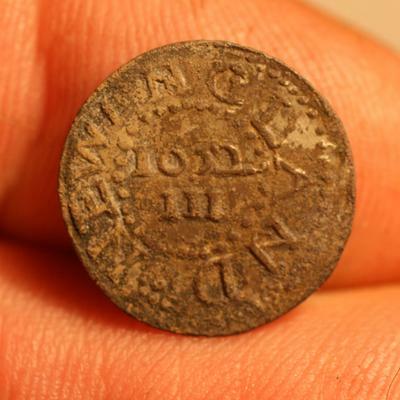 This coin turned up unexpectedly on a trash strewn hillside just off a major roadway, in the same hole were two 1878 Indians, and beneath those, the threepence and a Charles II halfgroat, an odd pocketspill. My theory is that when the old cartpath was upgraded to a road in 1880, everything that had been lost on the path was pushed over the hillside. 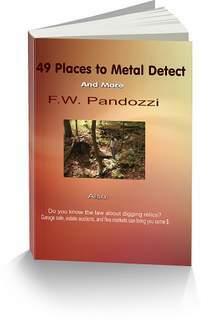 Discovering the site took some research, and when I saw the steel drums, and other large trash items I didn't hold much hope for recoveries. Luck placed my coil over the right spot and so both research and lady luck rewarded me this day. Visit www.pinetreeshillings.com to see other recoveries. Thanks for looking and HH to you all! Herbie. Herbie, that would be a great find if it turns out your coin is an error of some kind. 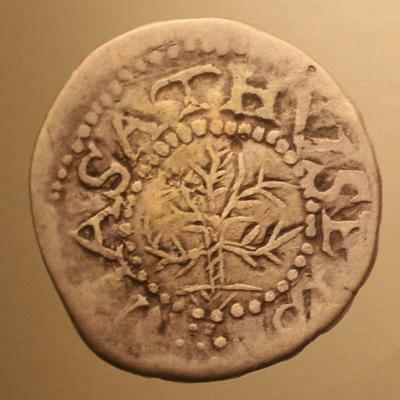 The Noe-28 was the first of the oak threepence to get all the S's correct. the first issue had all three of them backwards!! would love to find one of those, cool find! Thanks for the story and pics Herbie. Love those coins to. Here in NYS we've found a few shillings. Although they are quite rare here.